When dealing with the death of a loved one, the choice of funeral home can make a significant difference. 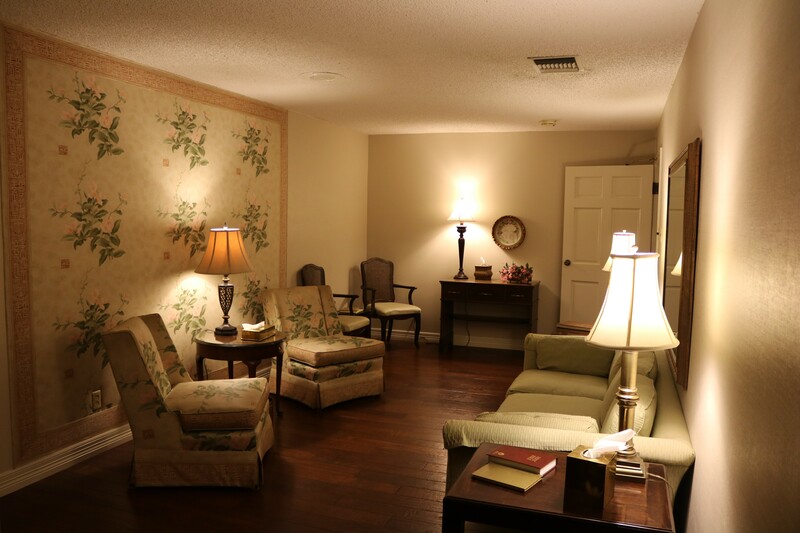 Rader Funeral Home, Kilgore, promises the finest service by a staff of caring funeral professionals, and a comfortable, home-like setting in which to hold the ceremony. Call us first, 903-984-2525. We have approximately 12,000 sq. ft. under roof. This beautiful room (see home page) is the first you see when you enter our building. 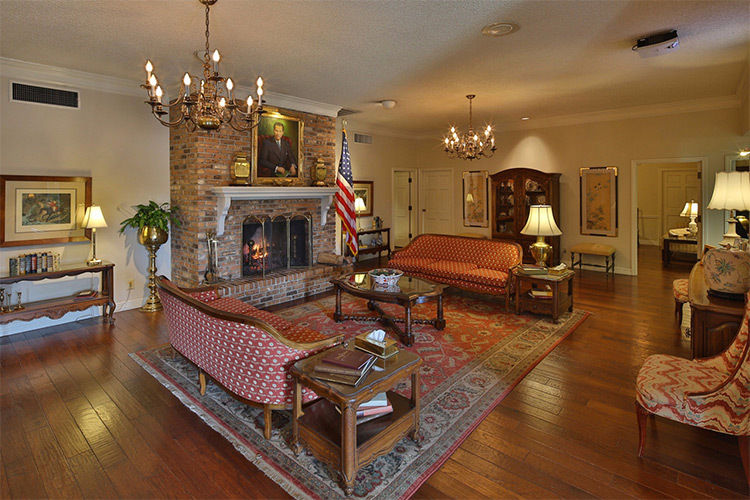 Enjoy our classic furnishings, and warm fireplace in the cold season. Many funeral homes have small, cramped staterooms with room for only a few people. Our staterooms are larger and setup to accomodate a more personalized services. 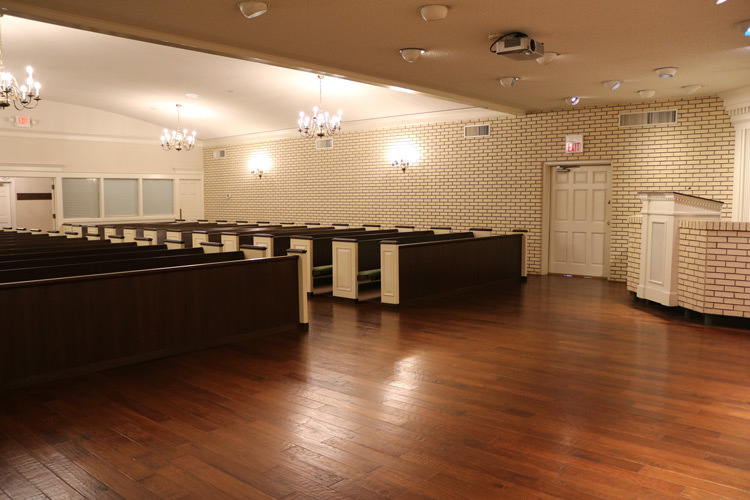 The chapel at our funeral home can seat over 200 visitors. 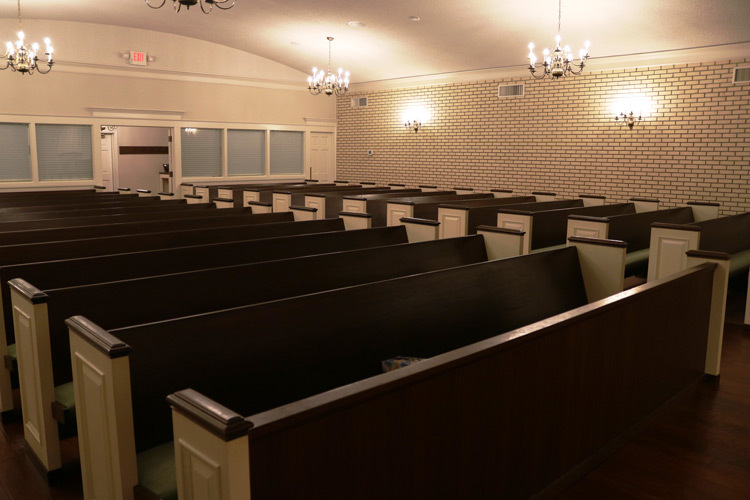 Chapel pews are upholstered and there are kneeling rails. 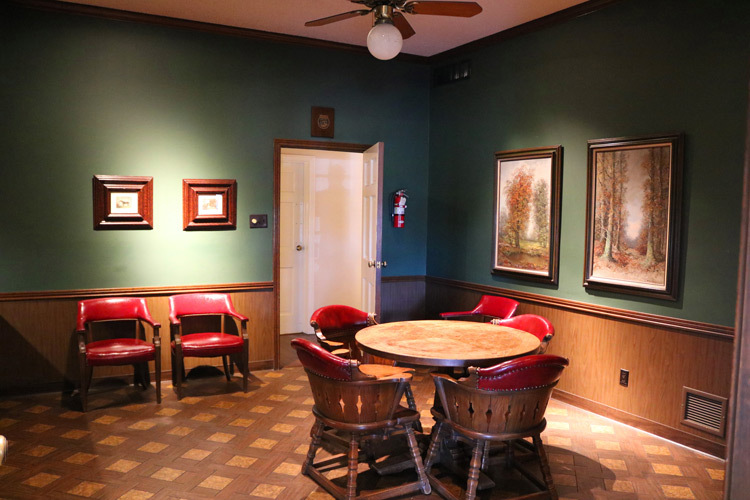 Our family seating area will accommodate 40 people. 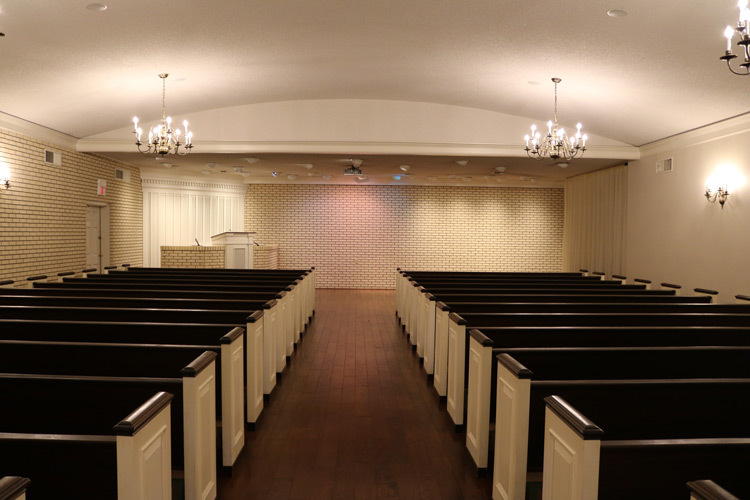 Adjoining the family seating area is a lounge where family members can gather prior to a religious service. This is next to the main reception area. Pallbearers may gather here for instructions prior to a service. 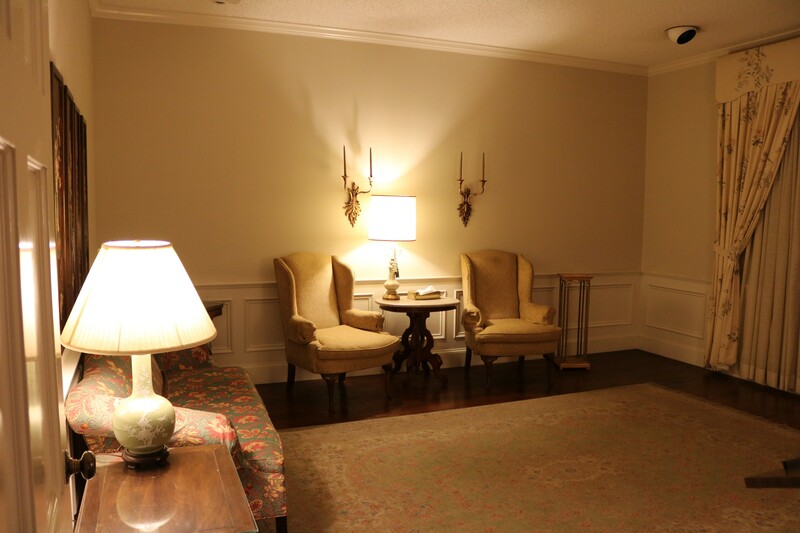 This room is just off the main reception room. 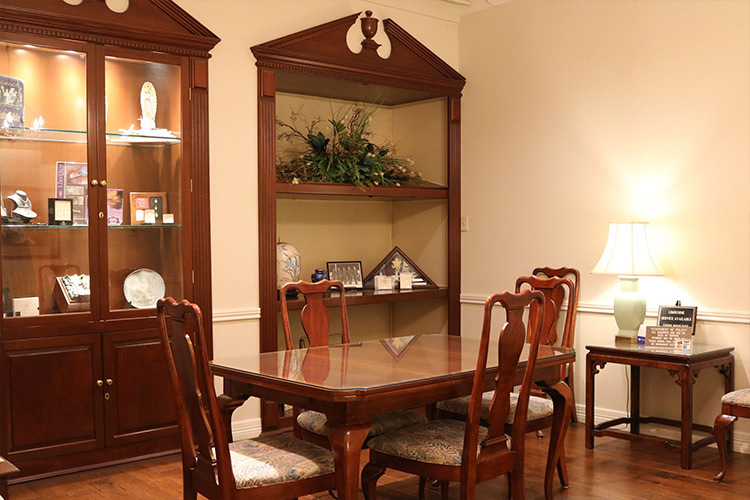 Here the funeral director and family can meet in complete privacy. These are set apart from the public areas so grieving family members are not disturbed by normal office activity. Rader Funeral Home sits on a two acre site. Most of it is used for parking. And since we are away from heavy traffic, leaving and entering the premises never poses a problem.